Promotional Products have been around since political candidates have wanted to win elections. Just like with campaign pins, when you put your brand on pens, cups or even fidget spinners you make it your own. These tips will help you utilize promotional products more effectively. Nothing is free in business and this fact should be reminded to marketers that give out promotional items like it is candy. Even though something like a pen can be relatively inexpensive, you can use it to gain information in exchange for the pen. Never give anything away unless you will or have gotten something back. With something like pens and koozies, you can get contact information in exchange for the items at tradeshows. This is a great example of how to give to get using promotional products. Giving out promotional products to current customers gets you something back as well. The recipient companies will be excited and grateful that you sent them USEFUL items and this will strengthen the relationship and in turn will generate consistent or increased business from those companies. A give to get mindset with promotional products is not always necessary, for example, if you were running a direct mailer to prospective customers and included was a promotional item, then you more than likely will not get a monetary return on all promotional items sent. But think about what kind of return you are looking for each time you give away promotional items. Most companies that utilize promotional products have the same giveaways each year with the same promotional products. If you give away branded pens every year to your customers that is fine, but make the pens different each year and make them weirdly useful. For example, give away pens with a stylus on the end. People will play with that stylus pen on their phones and tablets all day long because it is new and weird to them. Another example would be to give away a little desk speaker to the first 50 customers that order (blank) using a promotional code. Find useful things that no one has thought of. If you can change the way someone lives his or her life with a promotional product you have a customer for life. Be weird and stand out with the promotional products you give to your customers. To answer the question quantity or quality look at what you want out of the promotional product campaign. If you are doing a mass giveaway to try to create as many impressions as possible go with quantity. If you are gifting something to your customer of the month then go for quality. But there are a couple thoughts that should be thought through before ordering anything. The first thought is that the quality of the product can portray onto the customer the quality of your company. You can order mass quantities of inexpensive pens, but do not go for the cheapest option or you risk them breaking and turning a relationship sour. Customers appreciate good quality and will reciprocate that sense of value that you put on them. Second thought is that customers will gauge the value you think they have by the quality of the item you give. Customers do not expect to walk up to every tradeshow booth and receive a Rolex watch, but if you give them a cup that is scratched and does not look appealing then you basically told that potential customer that he is not worth a lot. Finally, find the balance between quality and quantity that works for whatever campaign you are running that involves promotional products. If you hit the mark then the results will surprise. 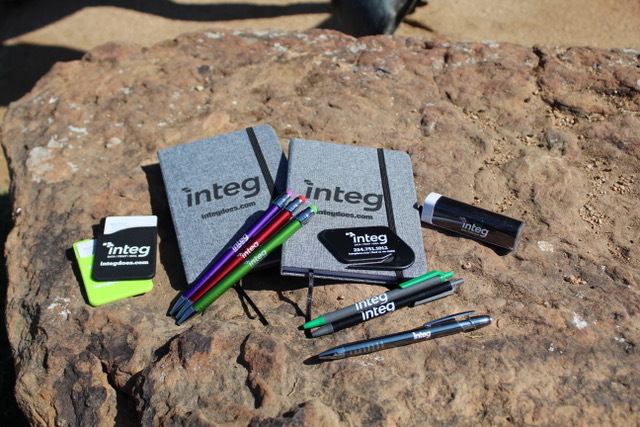 Integ’s Promotional Products division has years of experience in the industry and keeps their ear to the ground on trending and new product lines. We can help you pick the right promotional item for any campaign you may have. Take a look at our online catalog and browse over 1 million promotional products. For more information, you can call 254.751.1012 or fill out this form and we will contact you about your promotional products needs. Tell us about your project. 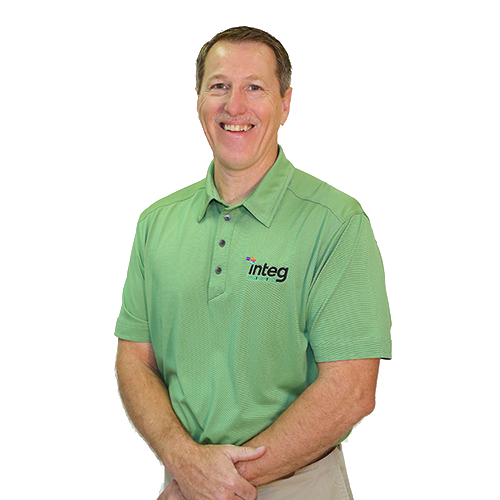 How can we put "The Integ Solution" to work?